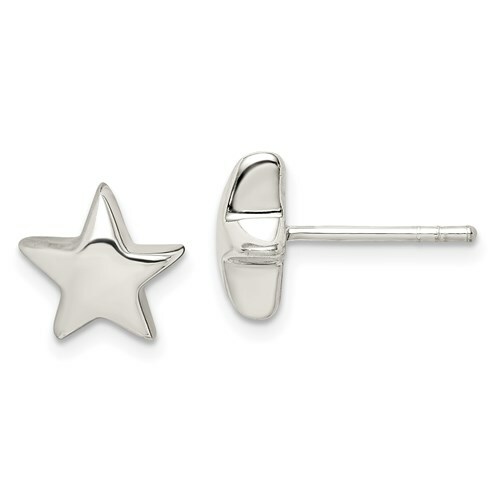 Sterling silver star post earrings are three dimensional. Earrings measure 3/8 inches tall by 5/16 inch wide. Open back. Import.